Using a pliers or flat head screw driver, gently remove all the end caps on both rails. Caution when removing the old caps, as they are often dry and brittle, which may cause them to break. 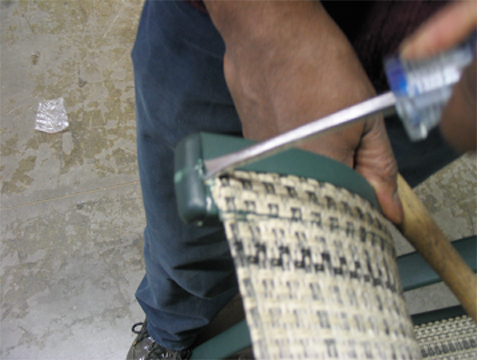 The easiest way of removing the old sling, is by cutting it down the middle, using a utility knife or sharp scissors. If, however, you choose to keep your old slings, proceed by unbolting the sling rails. 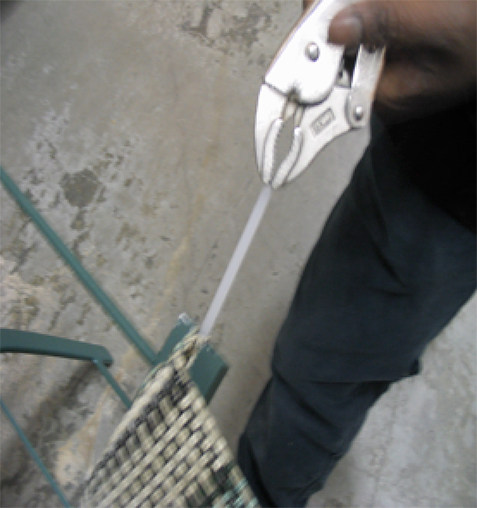 The sling may be wedged in the sling rail so you may need to use your hands to break it free. 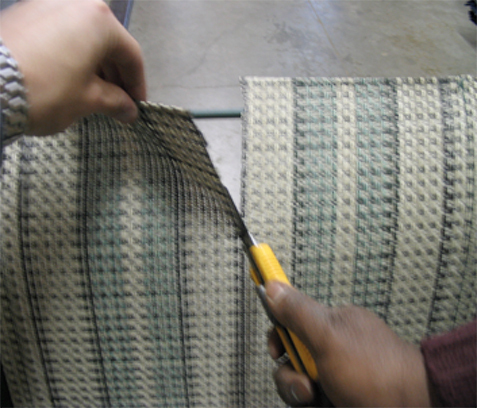 Spraying watered down dish soap solution will help loosen the old material. Alternatively, use a screw driver but be careful not to scratch the paint. 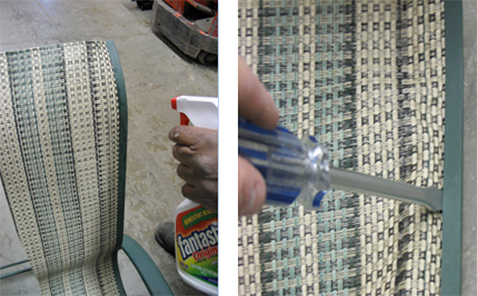 Grasp the end of the plastic rod with a pair of pliers and pull the “spaghetti” until it is fully removed from the chair rail. 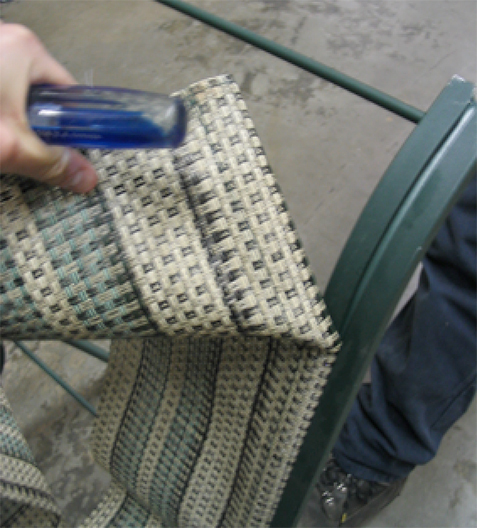 In order to easily remove the fabric from the sling rail, simply grab the sling and pull down on the fabric. 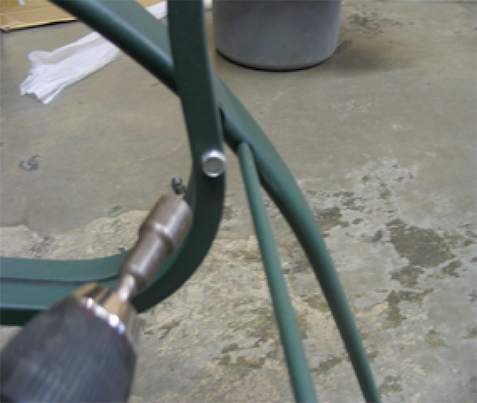 Using the tool of your choice, (screw driver, power drill, ratchet, etc) remove all bolts that attach the sling rail to the chair base.